The Phan Foundation urged on all young Karen leaders living anywhere in the world to nominate for the 2018 Padoh Mahn Sha Young Leader Award. The award officially opened called for nominations on November, 21st, the closing date is December 31, 2018. Slone Phan, the director of Phan Foundation and the youngest son of Padoh Mahn Shar Lar Phan spoke to Karen News. The Padoh Mahn Sha Young Leader Award is given annually to Karen community workers who work in health, education, social or cultural areas. According to the Foundation’s criteria, nominees should be Karen aged 35 or under. Any individual or organization can nominate including its own members, focusing on outcomes and achievements in the nomination. 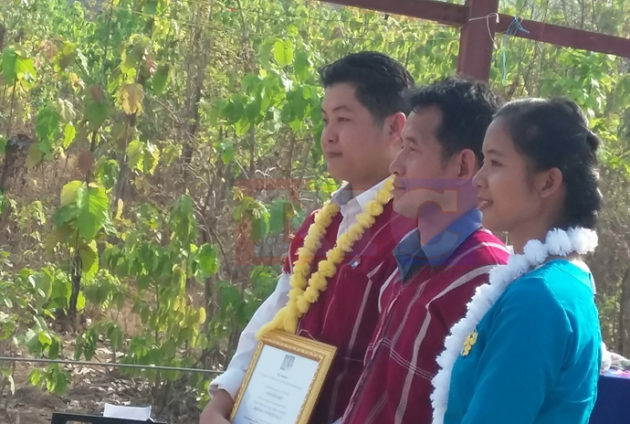 The award was set-up by the children of Padoh Mahn Sha Lar Phan, a former General Secretary of the Karen National Union, who was assassinated in February 2008. The award winners will be honored with certificates of recognition for their work and a grant of USD $2,000. Phan Foundation source said that the winner will be announced on early 2019 and the award ceremony is planned to take place during the 70th anniversary of Karen Resistance Day on January 31st. Previous winners of the award were Naw Paw K’Bla Htoo from Kler Lwee Htu District in 2008, Saw Nyunt Win from Mutraw District in Karen State in 2009, Naw December Paw from Tenasserim Division in 2010, Saw Htoo Htoo Eh, from the Free Burma Rangers in 2011, Nant Thandar Aung from Karen Women Empowerment Group in 2012, Naw K’Nyaw Paw from the Karen Women’s Organisation in 2013, Naw Hsa Moo from the Karen Environment and Social Action Network in 2014, Sa Shine from Hpa-an Youth Network in 2015, Sa Thu Hlaing Win from Karen Literacy Development in 2016 and the latest year in 2017 was jointly won by Saw Eh Tho from Oversea Karen Refugees Social Organization and Naw Hser Hser from Karen Women Organizaiton. The Phan Foundation was formed on February 14, 2008 by the four children of Mahn Sha Lah Phan; Saw Say Say Phan, Nant Bwa Bwa Phan, Nant Zoya Phan and Slone Phan in memory of their mother, Nant Kyin Shwe and father, Mahn Sha Lah Phan.